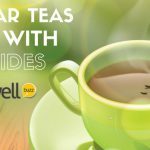 (BeWellBuzz) So you might think that you’ve been doing enough for your health and safety by washing that apple hard under flowing water? 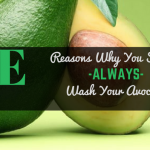 After all, you’ve always been told that washing your fresh fruits and vegetables is the best way to clean them of any dirt, pesticides or chemicals! However, latest research findings have an opposite tale to offer. Even as the EPA lists down the maximum amount of pesticides that can be used on the food we eat, it has been shown that there are some types of fruits and vegetables that absorb higher levels of pesticide residue as compared to the other produce. 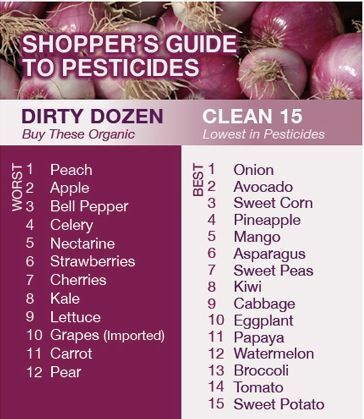 Interestingly, even the Environmental Working Group (The EWG) has actually given out their official ‘The Dirty Dozen’ list which enumerates the 12 fruits and vegetables carrying the highest pesticide content, going almost up to 47 to 67 pesticides per serving. 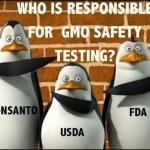 Compiled from over 96,000 studies conducted by the FDA and the USDA, the list has been culled from a longer version of around 49 fruits and vegetables that carried this content. Here, we give you a handy list of 10 most pesticide laden vegetables and fruits that you should only buy organic if you want to keep them as a part of your daily diet. Right from the stage of the unborn fetus to the final golden years of life, it is our nutrition that forms the cornerstone of our health and well-being. To be informed and educated about any potential hazards is as much a responsibility as a right. Here, we list down the 10 top foods that are the richest carriers of the pesticide residue, even after being cleaned and washed. Here, it is to be noted that the items listed are not in any specific order to the amount of pesticide content. Instead, these are the fruits and vegetables that we consume the most and hence need attention. One of the most pesticide-laden vegetables, celery has recently gained a lot of critical acclaim, with a high content of the pesticides chlorantraniliprole and spinosad, the latter being especially high in its toxic effect. Researchers and experts express big concern over the cumulative effect of such pesticide residue, including the likes of endocrine and hormonal imbalance, cancer, impaired immune system, birth defects and genetic damage. Found to be carrying as many as 48 different pesticides, spinach tops your list of the contaminated greens. The leaves of this vegetable are particularly vulnerable to an attack from the leaf miner beetle that lays its eggs on its underside. The pesticide residue found on spinach is the result of the effort to counter and prevent such pest attacks on the vegetable. Home to some 63 different variants of pesticides, sweet bell peppers are especially vulnerable to an attack from the powerful pepper maggot which explains the high pesticide residue content. Unfortunately, you will not be able to wash off a majority of pesticides from this frequently used vegetable. Sad enough, since potatoes are a major ingredient of the main course dishes in a lot of cultures worldwide. The high pesticide content such as that of chlorpropham and o-phenylphenol can actually increase the toxic impact of the vegetable, while also disrupting the endocrine balance of your body. Research shows that a typical lettuce produce would have been treated with 11 different pesticides before actually reaching your supermarket store. Research reveals the vegetable to be laced with some extremely hazardous pesticides such as DDT and Lindane. This one comes as quite a surprise, since apples are traditionally considered to be one of the best health fruits. 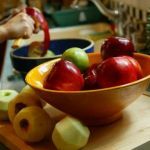 Experts point out that the fruits having a soft skin are particularly more vulnerable to the pesticide impact, which is perhaps why apples top the list. The EWG’s analysis reveals at least a whopping 98% of the conventional apples to be carrying a detectable amount of pesticides. A recent news release announced the U.S. government’s decision to pull back the deadly cancer-causing pesticide methyl iodide from the production process of strawberries for good reason. 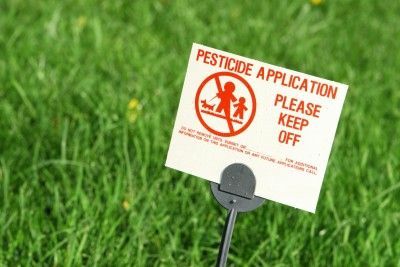 Unfortunately, it is not the case everywhere else in the world and the pesticide continues to be used unabatedly, making you vulnerable to hazards like poisoning, neurological damage and reproductive malfunctioning. A controlled study by the EWG revealed a gigantic 96 percent of all the peaches tested to be laced heavily with the pesticide residue. 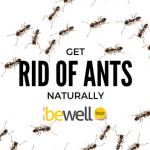 Having a soft skin that makes them very vulnerable to absorption of pesticides in higher proportions. This soft and juicy fruit, used a favorite mid day snack across the world is said to be carrying a considerable amount of the pesticides iprodione and myclobutanil, having the potential to cause endocrine disruptions as well as reproductive abnormalities. From the peaches family, nectarines are believed to be carrying high amounts of pesticide residue, also owing to its soft skin. In a controlled study, research revealed 53.2% of nectarines to be carrying the harmful pesticide formetanate hydrochloride having neurotoxins. 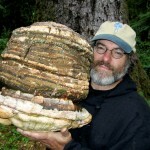 31% of them were also found to be laced with iprodione, carrying potent carcinogens as well as endocrine disruptors. Though the list might not be all-inclusive, yet it surely gives you a fair enough idea of the fruits and vegetables to watch out for. It is always a better idea to weigh the potential damage that can be caused by such pesticides as against the cost of buying organic produce instead.